Who's that girl? Hahhaha, meeeee, wearing turban for the first time in my life :) Good trick to beat the heat during summer. Wearing here few of my favorite items lately leaves bermudas and white croptop, both from Topshop. Like or Not?! LOOOOVE. This look is perfect. amazing look! I really like it! 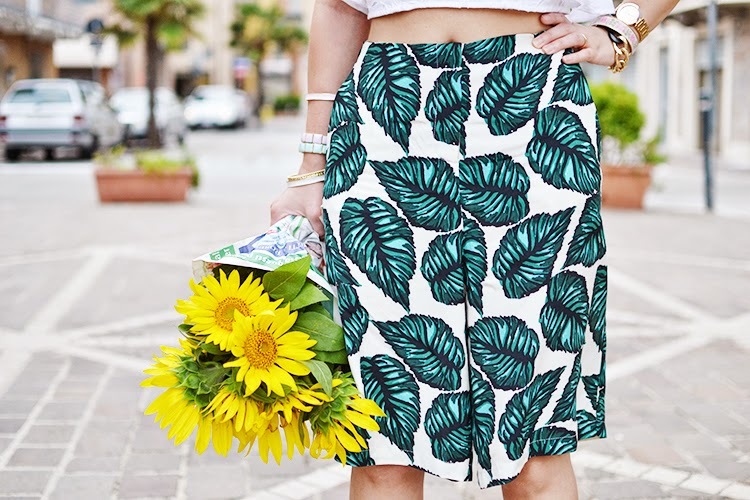 Totally in love with the print of your skirt. :) kisses! That turban looks pretty awesome on you! Love your outfit. What a fun look! So gorgeous! I love wearing turbans too, they're great for summer! You look perfect and lovely..
eu amei o seu look! You look amazing, the turban looks fab on you, you should wear it more often! I'm loving the facial expression super model for sure! faboulous pics! you have an amazing style! Your outfits are ever the coolest! Fabulous! great print mix and attitude doll!